Pivotree’s Headless CMS and Commerce solutions are built around the Headless Accelerator Framework developed by our Professional Services team. The framework allows companies to start leveraging headless architecture faster (when compared to connecting the front-end directly to the back-end systems) while also significantly reducing front-end development and back-end integration costs. As the Framework is platform-agnostic, it also reduces your business’s dependency on any commerce technology making it easy to build microservices or re-platform going forward. 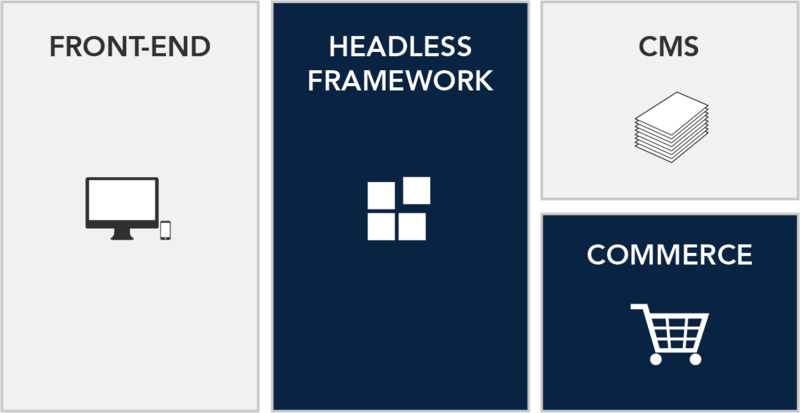 The Headless Accelerator Framework acts as a communication layer between your front-end applications and back-end systems. It comes with Oracle Commerce / ATG integration API and many OOTB features. The framework comes with a consistent set of APIs for the front-end, and also provides session management. The framework offers inherent caching functionality for improved performance. The framework minimizes the complexity of the front-end application and provides SEO and UX benefits. The framework is a lightweight, cloud-native application deployed in docker containers so that it can be auto-scaled to handle peak loads. The framework is divided into modules making parallel development easy, and increasing your team’s productivity. There is no need to upgrade to 11.3. The framework works with older versions of Oracle Commerce / ATG. The framework allows companies to re-architect the Commerce solution itself – breaking apart the monolithic application into a collection of microservices or re-platform with minimum risk and time. Development work becomes streamlined with out-of-the-box debugging functionality. 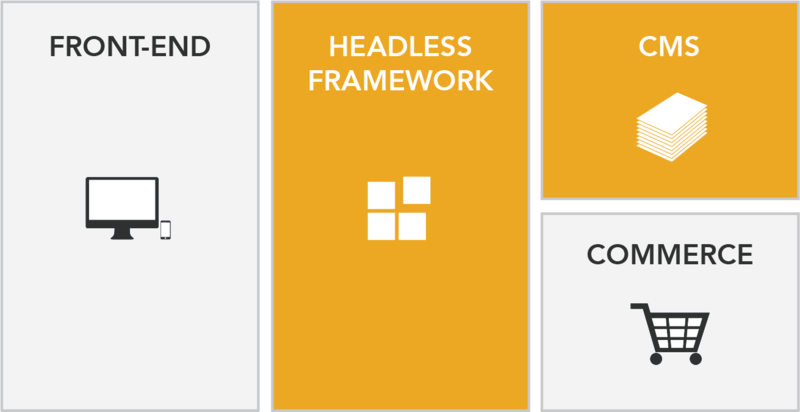 One of the primary use cases for a Headless Architecture is the incorporation of Headless CMS to help the business manage the content that accompanies a Commerce site. With our Headless Accelerator Framework, it is easy to plug your CMS into the back-end to deliver a seamless, unified experience to the shopper. Faster content publication and development. Less reliance on BCC for content management. Published content is available to any application via API. Reduced traffic to the commerce application – resulting in lower costs. Better site performance through leveraging lightweight presentation layer on the server side. Individual Commerce APIs can be added to enable connection to multiple commerce applications, and multiple versions of ATG. The framework comes with the Oracle Commerce / ATG API Connector but can also be customized to connect to any other eCommerce platform or microservice, since the front-end is not tied to business logic nor specific back-end libraries. This provides flexibility to re-platform or build your own API-first commerce solution down the road. Enable your front-end developers to update the site as often as they need to, without a complex and time-consuming deployment of the entire Commerce application. Our cloud-native headless solution allows companies to rapidly respond to changes in traffic patterns with no negative impact on the end-user experience. Making changes to the framework takes less than 2 hours. Moreover, modularization makes parallel development easy. Some of the largest brands have started leveraging headless architecture to evolve their legacy Oracle Commerce / ATG solution to support strategic business objectives and maximize ROI in the platform. If you are looking to reduce your dependency on a single commerce technology while also extending your prior investment, our Headless CMS and Commerce solutions can help. Reduce dependency on legacy systems, enable faster pace of innovation and save up to $100,000. Contact us to learn how!